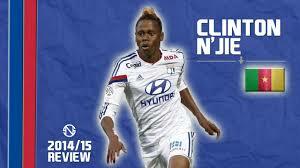 Home › opinion › Clinton N’Jie (LYON) Tottenham Bound ! A Silly Season Verified Rumor. 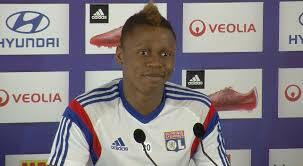 Last season, Les Gones (Olympique Lyonnais Faithful) fell literally in love with a young forward from Cameroon. It wasn’t expected nor predicted by the country’s ITK pundits, but the youngster’s contribution to the victory vs Lorient( 4-0) enchanted all the Stade de Gerland supporters. It was even more surprising, for that young man was renowned for his clumsiness in front of the box and that, despite his exceptional speed on the pitch. Nevertheless that Wednesday evening , not only he enchanted les Gones, but also made them forget Alexandre Lacazette and Nabil Fékir goals, the club’s cherished ones. The entire stadium were under the charm of each pass, each touch of the ball, having already forgotten the player’s inconsistency namely against Astra Giurgiu, during the Europa League stage qualifications. The french club didn’t waste any time and almost immediately they extended his contract for 3 more years( untill 2019).How did it happen? 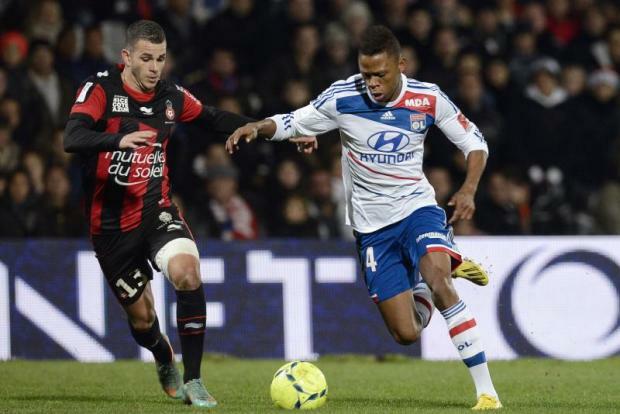 Clinton Mua N’Jie, Lyon’s 21-year-old forward, was born in Buea, Cameroon,( August 15, 1993) ; he’s not very tall, 1.75m(5ft 9in) but he’s able to play in the center or on left / right of the pitch. Five years ago aged 17, he was spotted by one of Lyon’s scouts, Patrice Girard and left his native english spoken country to join Lyon’s famous Youth Academy (2010). The teenager’s new life in another country wasn’t a fairytale’s one; the language barrier, the weather(winter can be very cold in Lyon’s region) the loneliness, didn’t help him to blossom as one could expect. Timid, he still is; out of the pitch, talking to the medias he’s the same soft-spoken youngster, but on the pitch he’s a different person! Would that be because of his first Cap with Cameroon’s national team? He scored a beauty against DR Congo and two versus Ivory Coast, thus helping his country for the Africa Cup qualifications. He even was labelled as the next “Samuel Eto’o” but surely it’s too soon to lay on the player’s shoulders, that kind of burden? N’Jie, Lacazette and Fékir, Lyon’s attacking trio gave a new dimension to the team’s game; les Gones finished the season fourth in Europe( goals+assists 62) They’re just behind Real Madrid 97, Barcelona 94 and Bayern München 68 ! Fékir and Lacazette have already signed a new contract extension, but Mathieu Valbuena’s (“Petit Vélo” = little bike ) signing from Dynamo Moscou, could push the young Cameroonian out and even if Jean-Michel Aulas, Lyon’s charismatic president doesn’t need the money, he could let his prized player go, if the price is right. Premier’s League Tottenham Hotspur, are interested but the french club won’t let N’Jie leave for peanuts, as they did with Hugo Lloris’ fire-sale ! It seems that Tottenham’s bid of 14 M Euros + 2 M add-ons satisfied both clubs and the player will come shortly to London to pass the traditional medical examination. 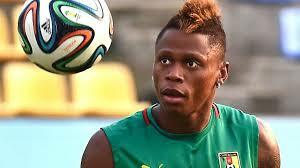 NJie could be useful on White Hart Lane’s pitch, for he’s very good playing on the left or the right side( exceptional right foot); he’s very quick, but quite often when he pass the ball, he lacks precision; youth’s and inexperience’s fault? Nevertheless, Tottenham’s Head Coach Mauricio Pochettino, after offloading Adebayor and Lennon( no number shirts) need to bolster his attacking options: Harry Kane, the club’s icon is very isolated up front and Soldado’s future, quite uncertain. N’Jie’s signing could help the Spurs attack, but let’s be honest; he’s no Messi, just a young talented player, willing to work and learn. He could be a good addition to the squad, but Spurs need some old-timers to help all these talented youngsters to blossom and give some hope for a better future to Tottenham’s faithful. Ezequiel Lavezzi, Tottenham bound ? Another Silly Season Rumor.